KIEV, Ukraine -- Ukraine sank deeper into political turmoil Thursday as the governing coalition lost its majority in parliament after a second faction bailed out. 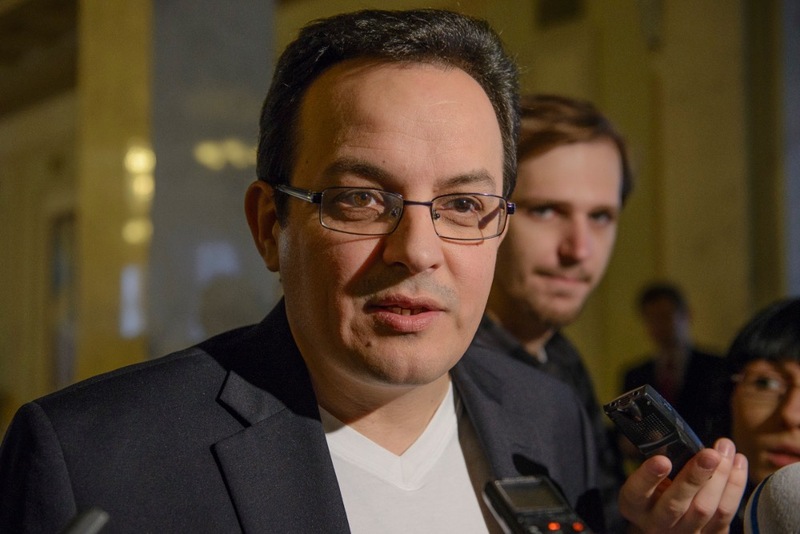 The move by Samopomich (Self Help), which has 26 seats in the 450-seat parliament, leaves the coalition partners with 217 votes. Former Prime Minister Yulia Tymoshenko's faction withdrew from the coalition a day earlier. The failure to create a new majority coalition may lead to early parliamentary elections, something President Petro Poroshenko has sought to avoid, fearing it could further destabilize the nation. The two factions remaining in the coalition are led by Poroshenko and Prime Minister Arseniy Yatsenyuk. They have been uneasy partners, with members of Yatsenyuk's and Poroshenko's blocs engaging in fierce spats which have strained public patience and eroded the confidence of the West. Some respected reformers have resigned recently, citing their disenchantment with the government's cronyism and corruption. Poroshenko has urged Yatsenyuk to step down amid economic troubles and political infighting, but the premier has refused to do so. Lawmakers failed to oust his Cabinet in a vote of confidence on Tuesday. Samopomich leader Oleh Bereziuk said the botched attempt to dismiss the Cabinet marked was a victory for "kleptocracy and oligarchy." Poroshenko now needs to quickly attract new coalition partners in order to regain a majority and avoid snap elections. Oleh Lyashko, the leader of the Radical Party that has 21 seats and left the governing coalition last fall, signaled that it could move back in. "We won't allow the country to be thrown into instability, chaos, lack of foreign support for reforms," Yatsenyuk said, adding that he would consult with Poroshenko, the Radical Party and others. Viktor Zamyatin, an expert with the Razumkov Center, a Kiev-based think-tank, said avoiding an early vote would be the top priority for Poroshenko. "New elections would trigger a new round of tensions inside the country and spook key Western creditors, the U.S. and the IMF," he said. Yatsenyuk became prime minister after Ukraine's former Russia-friendly president was chased from power in February 2014 following massive street protests. Poroshenko was elected several months later with broad support and approval from Western leaders. The White House said in a statement Thursday that Vice President Joe Biden spoke with Poroshenko on the phone and commended him and the government for the passage this week of anti-corruption legislation. "The Vice President urged President Poroshenko to continue on this positive trajectory, to include successful implementation of the new legislation and continued visible progress on anti-corruption reforms," the statement said. Ukraine has remained locked in conflict with Moscow, which annexed the Crimean Peninsula and has supported a pro-Russian insurgency in eastern Ukraine. Fighting there has killed more than 9,200 people since April 2014 and devastated the nation's industrial heartland. Last week, International Monetary Fund head Christine Lagarde threatened to halt the delivery of another installment of Ukraine's $17.5 billion aid package, which the country needs to keep the economy afloat.